What does the book of astrology say on the future of Salman Rushdie? Crowned with numerous awards this intrepid writer doesn't seem to find a speed breaker to his writing expertise. Salman Rushdie is an Indian-British novelist, who is known for his eccentric religious beliefs. 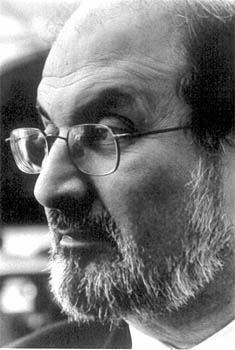 His fourth novel, The Satanic Verses, created plethora of protest in the Islamic world. He faced death threats & a fatwa was also imposed on him by Ayatollah Ruhollah Khomeini, the then Supreme Leader of Iran. Rushdie has been married four times and divorced at present. Ganesha tries to analyze the future of this controversial writer through an astrological outlook. Salman RUSHDIE has fiery Aries Ascendant and the Lord of Ascendant Mars is placed in it's own house. So he is strong willed and engrossed with qualities of leadership and always takes the lead and prefers to work in his own way. He is born in the fourth pada of Mrigshira nakshatra, which is ruled by Mars. So he is lively, clever, scholarly, enthusiastic, wealthy and pleasure loving. He may have a progressive viewpoint. Mercury is the Atmakaraka Planet and placed in the 3rd house of expression in it's own sign and Vargottama becomes extremely powerful in his chart with the signifier of mind Moon gives him extremely sharp mind and tremendous literary skills. Adding to this Mercury is placed in the Navmansa Ascendant in it's own sign indicating his brilliance and making him a genius in the field of writing. Jupiter retrograde gives him innovative and unconventional religious beliefs. He is currently running Mercury Mahadasha and Venus Bhukti, which will end on June 01, 2008. Venus is the Lord of 7th house and placed with Rahu. The Venus-Rahu conjunction shows that relationship issue has always been an important event in his life. Former STAR WARS actress CARRIE FISHER has sparked rumors of romance in December 2007. The Booker Prize-winning author turned up at a New York gala screening of the steamy romance, My Blueberry Nights, arm in arm with another stunning young model, Aimee Mullins recently. There were also buzz about the Sen sisters, Riya and Raima's relationship with the great author. Such stories will frequently hit media particularly till the end of June this year in the Venus sub-period. He will be under the influence of Mercury Mahadasha and Sun Bhukti from June 01, 2008 and Sun is the Lord of 5th house placed with Saturn and debilitated Moon in the 6th house of Navmansa chart. In Solar return chart, Scorpio is rising in the Ascendant, which falls in the 8th house of his natal chart. The Ascendant Lord Mars is debilitated and placed with Ketu. The lord of the year Mercury is powerful and Muntha is placed in 7th house with Mercury. So he might produce some outstanding literary work in the first quarter of year 2009 but his health may remain a cause of concern in the months of July 2008 and April 2009. Disputes with the ruling class and conflict with enemies cannot be ruled out. As the Lord of year placed in the 7th house relationship issues will also be in focus.